Nero Wolfe, the great 286-pound gourmet (and detective), in a fit of anger swears an oath that he will eat no meat until the current case is resolved. Archie Goodwin, his All-American and sardonic associate, is unimpressed, and vows in response that in that case he will eat no boiled cucumbers until the case is over. And, as with all our warm-weather crops in this region, we need early types, though most common ones are reasonably early. But before even getting to particular cultivars, it helps to know that a “cucumber” can be any of several different species, and even different genera (cucumbers and melons are quite closely related, and at least one “cucumber” type, the “Armenian”, is really, in biological terms, a form of melon). The common type is often divided in seedsmen’s catalogues into “slicers” and “picklers”, but there isn’t much real differentiation there other than traditional uses and perhaps size. In gardening and culinary terms, not taxonomic ones, the usual and unusual sorts of available cucumbers are described below. While individual tastes can vary—is mildness of cucumber flavor a plus or a minus?—most sources do incline to perceiving the Armenian, Oriental, and Beit Alpha types as better-eating varieties than the familiar common types, as to actual flavor and also as to bitterness and gas production (“the burps”). Also noteworthy is that at bottom it seems most tasters put a higher premium on a lack of bitterness than on taste as such, which may be why the non-standard types tend to be higher-ranked. In the list below, we have shown what our investigations have suggested as choices. If we had to pick just one type, it’d be that rather unusual Indian cultivar the Poona Kheera, which looks more like a potato rather than a cucumber, but gets rave reviews on taste and productivity, and is also particularly early. (The common cucumber is often also called the “Dutch” or the “English” cucumber.) There are two outstanding choices for this type: the classic Marketmore 76, and the heirloom Boothby’s Blonde (shown at the left), grown for generations by the Boothby family of Maine, and now available to home gardeners. It is hard to choose between those two, though the Boothby’s is probably more of a pickling type; it has an unusually large seed cavity, but apparently the seeds are considered perfectly edible. If pressed, we’d probably go with the Marketmore 76 (beware: there are other Marketmore types with different numbers, but the 76 is the wanted one). The Armenian is a long, often much curved type (as noted, actually not a true cucumber but a type of melon); owing to its shape, it is sometimes referred to as the “serpent” or “snake” cucumber. It is hard to recommend a particular cultivar, as few catalogues distinguish one “Armenian” type from another. Though many find the taste of Armenian cukes superior to that of common cukes, some don’t like their texture. Also, Armenians must be picked fairly young, else they often turn into a sort of giant generic “banana melon”. They’re usually at their best at 12" - 15" long, but can grow to 30" or even 36". As melons, they need more heat to grow well than do true cucumbers. The “Beit Alpha” type (sometimes called “Persian”) is an Israeli development (they have developed a lot of useful hot-weather crops, notably melons and lettuces) whose plants are largely or wholly female and so do not need cross-pollination. They are thought to have an excellent taste and low bitterness. All cultivars reportedly taste about the same. 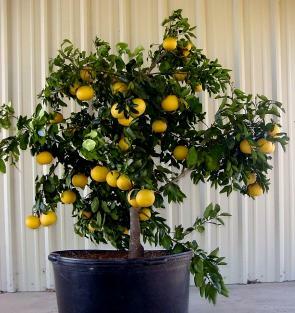 Note that owing to its origins, most beit alpha types are hybrids, but there are some open-pollinated cultivars available (such as the Super Zagross). Most seedsmen, however, do not distinguish cultivars: you’re lucky if they say whether it’s hybrid or OP. The ”ball“ types, small spheres (such as the ”lemon cucumber“) tend to be especially early. Generally, they are thought to be pleasant but rather low in distinct cucumber flavor, but there are some notable exceptions. In particular, the almost funny-looking new Poona Kheera, which resembles nothing so much as a potato (see image at right), is emerging as possibly the best-tasting cucumber of all cucumbers in many opinions. 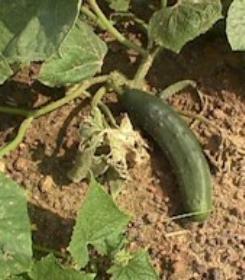 Cucumbers cannot usefully be preserved, so the amount one wants to grow is limited by the amount one can plausibly consume during their harvest window. We ourselves are thus limiting our types this year to two, which will be the Marketmore 76 and the Poona Kheera; but we will definitely try the other three types in times to come. Let the best cuke win! You certainly can do these as seedlings to transplant, but our summers, though short, are quite warm, so we’re going to go with direct seeding (which seems common for cukes, except maybe the Armenian types). The days to maturity for most cukes are around 60 to 65, though the Beit Alpha types are more like 55 and the Armenians 55 from transplant. Cucumbers like it warm: they supposedly grow best at temperatures over 80° F., which in our climate start around June 20th on average. That works out well, since our peak warmth is around July 22nd, which would put that peak warmth right in the middle of the cukes’ 60-day growth span. To be more exact, we will seed both types on June 23rd, with an expected maturity date of around August 22nd. But whatever your scheme, plant cucumbers out only long after the last expected frost—cucumbers cannot take frost. And prepare the soil with plastic mulch starting at least two weeks before seeding. Plant seed ¼ to ½ inch deep. In a deep-dug bed, space plants about one foot apart. Remember that these are climbers, so you will need to provide a suitable trellis for them to grow on! Cucumbers are not terribly fussy about soil type (though sandy loam is better) or pH (though some say that keeping the pH very low-acid, say 6.8 to 7.0, helps prevent that bane, the bitter cuke); but they do need really rich soil, so fertilize heavily. Also, cucumbers require a lot of water, constantly available; on the other hand, they do not like “wet feet” and can damp off. Moreover, they have deep roots—three to four feet—best encouragedby “deep watering”. All that put together means that cucumbers require really well-drained, really deeply spaded soil. Their spot in the garden has to be a sunny one. Some sources recommend avoiding use of the same ground for cucurbits (cukes, melons, squash) more often than once every two or even three years, owing to possible soil-borne diseases. Our advice, given elsewhere on this site, is a four-year, four-bed-types (Brassicas, Solanaceae, corn, and “miscellaneous”—or a five-year plan if you have a potato bed) rotation plan, to avoid just such problems (Brassicas are the highest disease risk). Cucumbers, like a surprisingly great number of home-garden vegetable plants (including some said to have deep roots), do quite well in containers. Even if you have a lot of space, containers are helpful in managing pest problems (mainly rodents, like voles), because you can easily put a low metal-mesh screen (¼" openings) around the the inside edge of the container. If you are considering containers, five-gallon containers are said to allow growing “one or two” cucumber plants. Cucumbers, as noted, require a lot of water, constantly available—they do not like irregular watering—but need to be encouraged to send down deep roots. If you have prepared the soil well, as described above, give them a really heavy soaking every few days—one source says once a week—but take care that the soil around them stays moist for a good ways down (a good soil-moisture meter is, like a good soil-temperature gauge, an invaluable tool). Keep cucumbers as weed-free as possible, but take care: do not hoe deeper than at most an inch or you will likely cut some feeder roots. When the vines are about 10 to 12 inches long, side-dressing with some extra fertilizer can be a help, but don’t go crazy, lest the plants grow more vine than fruit. All cucurbits develop separate male and female flowers. Male flowers develop first, and are easily distinguished as a plain flower on a long stem, having only stamens; female flowers form large ovaries, which look like small fruit. After the first female flowers are pollinated, the vines develop both male and female flowers. One expert source recommends that when the plants achieve six or seven true leaves—not seed leaves—you pinch off the growing points, so as to make the plants branch and straggle. But do not remove the flowers. If any growing cukes are in contact with the ground, put something—glass, plastic, tile, whatever—under them to keep them out of contact with the soil. Healthy cucumber plants grow relatively rapidly. When once the plants start bearing, pick daily when the cukes reach a decent size (but the types we recommend can get pretty long! ); whatever you do, do not wait till your cukes turn yellow—yellow cucumbers are overmature and will be strong flavored and of poor quality (but note that the Poona Kheera cuke is naturally brown, so that’s not a sign of danger for it). Harvest by cutting the stem about ¼ inch above the fruit. Most sources suggest that well-picked healthy plants will continue to produce till the weather cools (and stop at the first frost). Cucumbers are of the Cucurbitae family, and are very closely related to melons (the “Armenian cucumber” is really as much a melon as a cucumber); other well-known members of the family are squash and pumpkins. Cucumber flowers are monoecious (individual flowers are either male or female, but both sexes can be found on the same plant) and are pollinated by insects; the plant is thus self-fertile. We try not to re-invent the wheel. Here’s a link to a good history of cucumbers [archived copy]. Some say that cukes taste best eaten within a few hours of being picked, so plan on using lots of cucumber during their season; if you have no other ideas, recall that tzatziki (mentioned above) makes a mighty refreshing summer beverage, one that we, at least, never tire of. Whizz it up really well. Refrigerate it for at least an hour—it needs to be well-chilled. Drink it, then make some more. There—wasn’t that easy? And, in our classic Envoi form, here’s a link to the very first edition of the e-zine Cucumber Focus. It was last modified on Tuesday, 29 January 2019, at 16:53 EST.